The job of teaching is one which requires plenty of plates to be spun simultaneously. From the unique challenges of managing a classroom full of kids to administrative duties, it can be difficult to keep on top of everything – especially when you include lesson planning in the workload. Any teacher will tell you that they’ve put countless hours say at home, working on PowerPoint presentations. Designed to make teaching easier, these ubiquitous presentations actually do the opposite. Teachers spend far too long on presentations, focusing on creating a visually interesting presentation which keeps students attention. However, research has found that students working memories are being overloaded by the excess of information afforded by flashy slideshows, which play whilst you’re speaking to the class. Quite simply, students just don’t get as much from your presentations as you might hope. It’s a theory first laid out by in the 1980s called Cognitive Load Theory, and it suggests that extraneous cognitive load is harmful to students’ ability to learn new information. The research as clear; the more we overburden students in the way we present information, the less likely they are to be able to retain that information in the long-term. The solution is visualisers. But what are they, and why are they better at presenting information than a PowerPoint? Let’s take a look. Visualisers, if you’re not already familiar, are the natural evolution of big, clunky overhead projectors from years gone by. Rather than projecting black and white images printed on plastic paper, visualisers feature a compact camera lens on an adjustable base. When connected to a projector via a computer, visualisers can perform a variety of functions, ranging from live-streaming what they can see up to the big screen to acting as a microscope. Why are they great for teachers? There are a few reasons why visualisers make for amazing teachers aids. First of all, they dramatically reduce the amount of time teachers need to spend preparing their lessons. Rather than spending hours hunched over a PowerPoint presentation, teachers instead work directly with their hands to create sheets which share information in a simple, effortless way. For teachers working alongside workbooks, visualisers make sharing correct work easier than ever before. Teachers can quickly show students how to go about solving a task and effortlessly highlight the best work by their students. 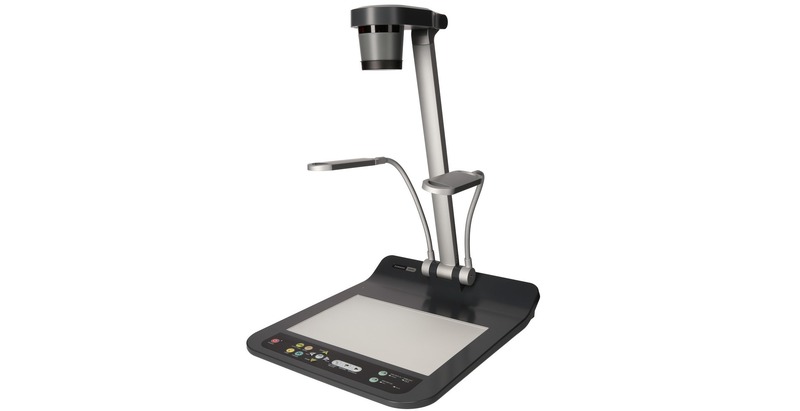 Indeed, visualisers are brilliant at helping teachers greatly simplify their lessons. No more fancy transitions, effects and multi-media shows, just clear and concise sheets which get right to the point. Better yet, you can make changes on the fly, illustrating how one thing might lead to another. It’s something that PowerPoint presentations simply can’t do. Perhaps the greatest advantage of visualisers, however, is that their functions allow teachers to show the entire classroom what they’re doing with their hands. For more hands-on lessons, like art or science, the ability show the entire class how to do something in detail is one which cant be undervalued. To learn more about visualisers, get in touch today.